Read our helpful guide to second hand BMW 550. AA Cars works closely with thousands of UK used car dealers to bring you one of the largest selections of BMW 550 cars on the market. You can also browse BMW dealers to find a second hand car close to you today. 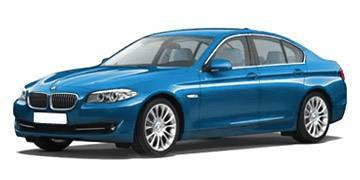 All used BMW 550 on the AA Cars website come with free 12 months breakdown cover. When it comes to the market-leading executive saloons in BMW's range, it's understandably the calm and efficient diesels which reign supreme. With the 5 Series, the large premium executive, the 2.0 litre diesel is easily one of the stand out options, and often the go-to model, but that doesn't mean that it is the most satisfying. The 550, one of the more recent additions to the range, boasts a hefty five litre engine (now only petrol, although a previous diesel option exists) which boasts impressive power and serious acceleration, and while not quite as smooth and refined as the most popular, conservatively-sized 520, the energy it produces is hard not to be enticed by.